Online Event information reflects the most current information. Don’t miss this special event designed for the entire family! The event will begin at 10am and end at 2pm. You may choose from four show times to reserve your spot in the planetarium. Feel free to visit the special activities and food trucks before or after your reserved show time. View two new exciting shows in the Jenks Planetarium. 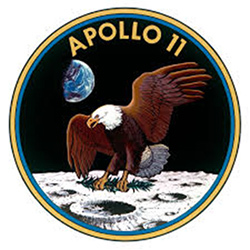 Apollo 11: Man’s First Step on the Moon was created for this event by Jenks Public School staff and students. 50 years ago, Neal Armstrong made history as being the first human to walk on the surface of another world. This show looks back on that historic day and the events leading up to it. 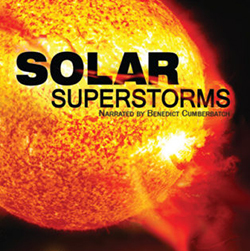 Solar Superstorms is a new production that takes viewers into the tangle of magnetic fields and superhot plasma that result in dramatic flares and violent solar tornadoes. This show features one of the most intensive efforts ever made to visualize the inner workings of the sun. Both shows total 40 minutes in length. PLUS, enjoy special activities in the Math and Science Building before or after your chosen show time of 10am, 11am, 12pm or 1 pm. Activities include making and launching parachutes, conducting mission control tests, enjoying story time, viewing space exhibits, looking through solar telescopes on the roof and so much more. Food trucks will provide fun options for snacks and lunch. Participants may choose the following four show times: 10am 11am, 12pm OR 1pm. All sessions include the two shows and all activities. Cost per person is $10 if purchased by June 14th. The cost increases to $12 per person if purchased after June 14th. Price does not include food and drink. The target audience age for Apollo 11: Man’s First Step on the Moon and Solar Superstorms is 4 years to adult. Both shows will be held at the Jenks Planetarium in the Dr. Kirby L. Lehman Center for the Study of Math & Science Building, 3rd Floor. The planetarium is a 50-foot, 120-seat SciDome high definition planetarium. General seating is available on a first-come, first-served basis. No food or drink is allowed in the Planetarium. Elevator available. Please park on east side of Math and Science building, in the Sooner parking lot or in the lots on the south side of B Street. No parking is available in the oval as food trucks will be available in the oval for lunch and snacks (not included in cost).